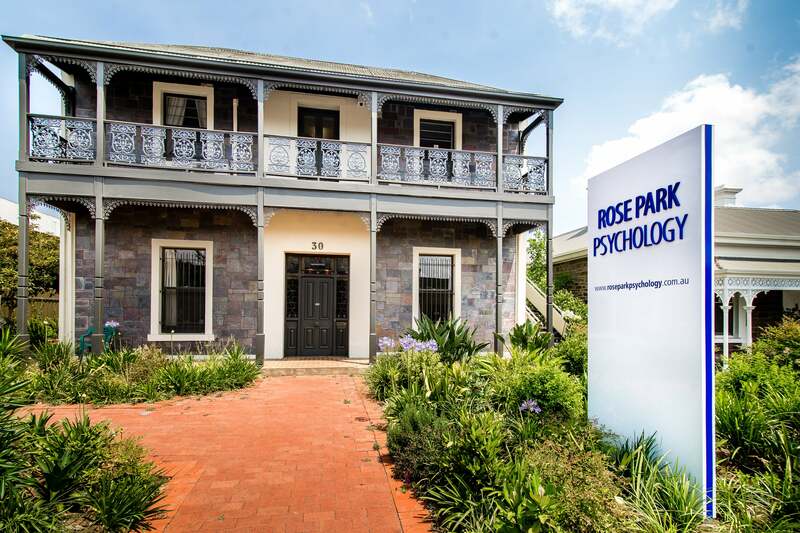 At Rose Park Psychology, we welcome adults, couples, families, and children, and can help you with almost any problem relating to mental health, relationships, or general well-being. Our experienced psychologists will provide you with high quality therapy sessions. They are easy to talk to and you can be sure that confidentiality applies. We offer therapy for anxiety, depression, and trauma, among many other services. You may contact us by phone or email and we will assist you to find the best psychologist for your situation. Our psychologists use CBT, ACT, mindfulness, interpersonal psychotherapy, EMDR, family therapy and the Gottman method for couples counselling. If you are dealing with Anxiety, Depression, Trauma or having trouble with Work, Relationships, Children or Teenagers, talk to us today. Rose Park Psychology has a comprehensive range of skilled psychologists. Click here to find a professional suitable for your patient. Because we work within a supportive group, we can offer you a safe choice. Many of our psychologists are endorsed as clinical psychologists and attract the highest level of Medicare rebate to provide treatment services for a wide range of disorders related to depression, anxiety, stress, and trauma. To see a clinical psychologist in Adelaide under Medicare, you need to see your GP who will decide if a mental health care plan applies. GPs often appreciate it if you make an extended appointment so that there is plenty of time to talk. You can see a psychologist without a plan and the private fee and private health cover applies. Call us and we will discuss our services and guide you to seeing best psychologist for you. You will be provided with everything you need to know about the psychologists and the specific costs by telephone before you make an appointment. If you or your children would like to speak to someone, contact us today.